Issue #010 Blueberries' Health Benefits - Why you don't want to miss out on them! 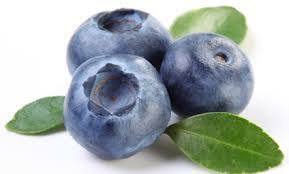 Blueberries' Health Benefits - Why you don't want to miss out on them! Welcome to the January issue of Discover The Power of Healing Foods! newsletter. You can read the entire issue on line by clicking here. In order too discuss blueberries' health benefits I've recently published a new page entitled Health Benefits of Blueberries - Are They Exaggerated? but in researching the subject I've found so much information that I decided to put some in this newsletter to wet your appetite, so to speak. Many of blueberries' health benefits are attributed to anthocyanins, a type of antioxidants that abound in blueberries and I've already discussed them at length (so follow the link to read about them). This is one of the reasons blueberries are often considered a superfood, and with good reasons. When researchers at Tufts University analysed sixty fruits and vegetables for their antioxidant activity - you may not be surprised to hear - blueberries rated the highest. 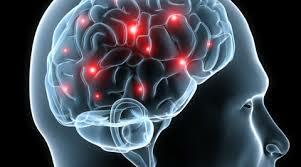 One of the practical applications of this antioxidant activity may be in the protection against Alzheimer's disease, researchers have discovered. For example, when older rats were given the equivalent of one cup of blueberries a day, they demonstrated significant improvements in both learning capacity and motor skills, making them mentally equivalent to much younger rats! And their brain cells were found to communicate more effectively than those of the other older rats that were not given blueberries. From a medical point of view, all that is still in the experimental stages, so I suppose you could wait for them to come up with medications that mimic the effect of blueberries, or you could jump the gun and enjoy the benefits of blueberries right now. Blueberries' health benefits are already widely recognised in one very important area: improving vision and protecting against age-related macular degeneration. This interest was stimulated by the fact that during World War II, British Air Force pilots consumed bilberry (a variety of European blueberry) preserve before their night missions, as they believed that the bilberry would improve their ability to see at night. 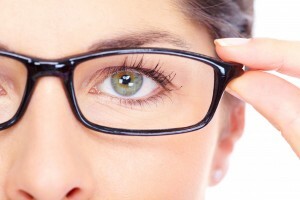 After the war, numerous studies demonstrated that that wasn't just folk medicine, but blueberries extracts do improve night-time visual acuity and lead to quicker adjustment to darkness and faster restoration of visual acuity after exposure to glare. In other words, you can see better at night and don't get blinded by bright lights so much. And pretty much all eye-related problems - cataract, glaucoma, diabetic retinopathy, sensitivity to bright light - seem to improve once people start to take blueberry extracts. The two benefits we've mentioned in this newsletter, i. e. protection for the brain and the eyes, may be enough to persuade you to include lots of blueberries in your diet, but if you want to know how they can benefit ... your urinary tract health, your cholesterol levels and your digestive health ... well, by now you know what to do, read more on my new page, The Health Benefits of Blueberries. Thank you for reading this newsletter, I hope you enjoyed it. Next month I'll talk about the health benefits of some of the vegetables available in February. Do you know what they might be? Stay tuned! Comments? Ideas? Feedback? I'd love to hear from you. Just reply to this newsletter and let me know what you think. Or fill in a very quick questionnaire.